I love writing romance stories. I get to take two people, arrange for them to meet, and figure out a way to make them fall in love. 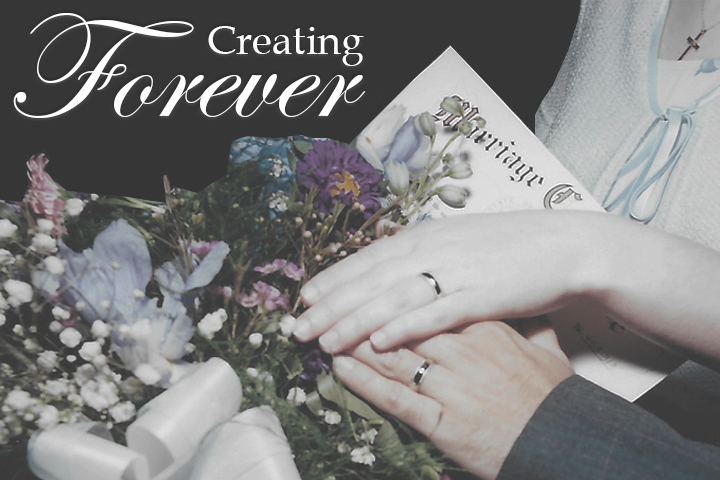 Creating their forever after is both sweet and satisfying. Sometimes, I know exactly what's going to happen when I start a book. But most of the time, my characters take on minds of their own, and I'm as surprised as they are over the events that lead to their happy endings. This last week, my husband and I celebrated our seventeenth wedding anniversary. It always amazes me when I think about the chain of events that led to our meeting one another. It all started nearly twenty years ago. 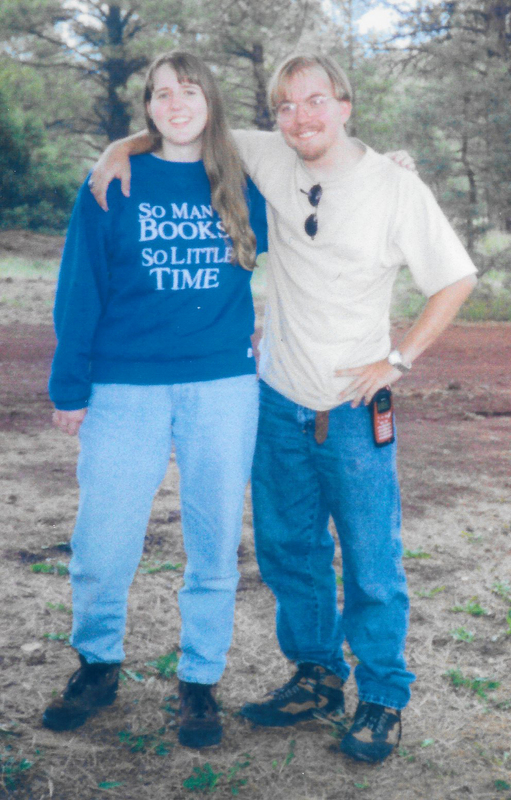 At the time, we were both going to college states away from each other (I in Oregon, Doug in Texas). Our moms met through e-mail, discovered their kids were the same age, and suggested we started to e-mail each other. I don't think either of them expected us to become best friends like we did. We strictly e-mailed and chatted on AOL IM for over a year and a half. And then, in July of 1999, our families met in Arizona for a camping trip. That was the first time we saw each other in person.And yes, it was most definitely love at first sight. Phone calls and voice chats were added to our e-mail and online visits. We flew to see each other several times over the next eleven months before getting married in June of 2000. Our romance story is one of best friends falling in love. My life has turned into an even better forever after than I'd ever dreamed of. The way my husband and I met is why I enjoy writing about best friends falling in love. It was also one of the reasons why my newest book, Someone to Trust, is one of my favorite stories. 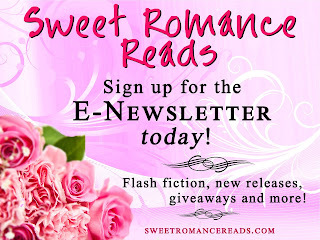 What type of romance do you prefer to read? Best friends falling in love? A marriage of convenience? Enemies becoming more than friends? I'd love to hear from you! 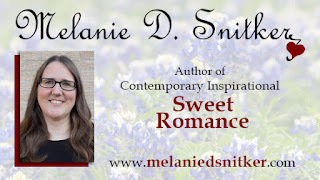 Melanie D. Snitker has been writing for as long as she can remember. She started out writing episodes of cartoon shows that she wanted to see as a child and her love of writing grew from there. She and her husband live in Texas with their two children who keep their lives full of adventure, and two dogs who add a dash of mischief to the family dynamics. In her spare time, Melanie enjoys photography, reading, crochet, baking, target shooting, camping, and hanging out with family and friends. What a lovely story about you and your husband--best friends falling in love! This type of story is one of my favorites. Real life love stories are the best. Thank you for sharing yours. I always enjoy hearing real life love stories as well. Thanks, Mary! I love reading about how people met their spouses. Thanks for sharing. This story sounds like another "must read". 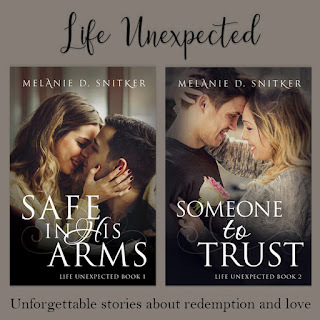 Thank you for sharing your beautiful story, Melanie!